(Please note: our company does NOT carry mascot characters for safety and technical reasons. Our current character list and packages can be found below and under "Characters"). Our most popular packages are featured below. Have another theme you're thinking of? Check out our "Characters" pages and complete list of options to choose from, and we'll be happy to assist! All the characters from your favorite stories are ready to come to life and make your next get-together one for the ages. From punctuality-challenged rabbits to the inhabitants of your favorite fairy tales, there's no shortage of magic when it comes to what we can bring for you and your party. 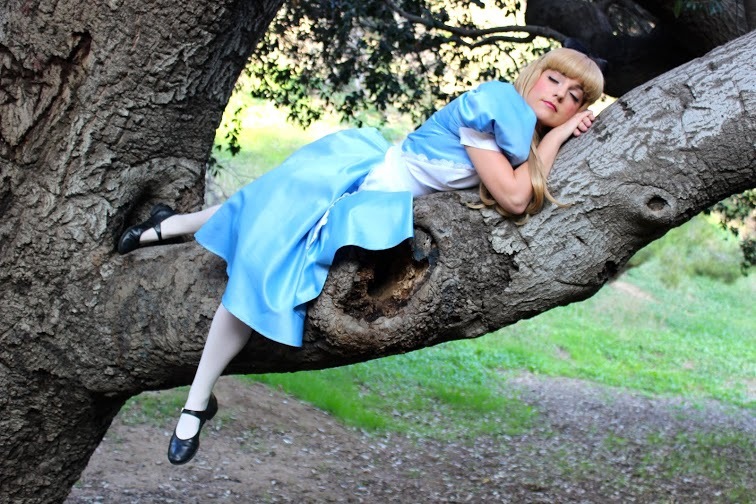 Our Wonderland Party Package is great for audiences of all ages. READ MORE! Love a good quest? Ever dreamed of saving the day? Then it looks like our Superhero/Adventure Party Package is the choice for you! We use high-quality costumes and props to fully inhabit the characters of your choice, and will teach your guests everything they need to know about how to be a superhero and save lives with the best of 'em! READ MORE! Choose from the whole pantheon of princesses for your next soiree! No matter who you have as your favorite, we'll provide a princess-themed experience that you and your guests will treasure and cherish for years to come. We even give character lessons, so you can join in on the royalty-oriented fun! Activities, autographs, songs...there's nothing our princesses can't do. READ MORE! Ahoy mateys! Do you dream of dominating the seven seas? Sounds like a visit from our cadre of fearsome pirates might be right for you. (Don't worry! We've tamed them, and given them extensive lessons in party appearances.) Our crew will help mold you into the swashbuckler you always wanted to be through a bevy of games, activities, and all kinds of loot. READ MORE! Ever wonder what your favorite stars of yesteryear would be up to if they were still around today? Well, the answer is they'd be entertaining guests at your party! Pick from a selection of some of the greatest screen icons from all time: classics that will put a smile on your face and have your guests doing double-takes as they try to figure out whether or not you have access to a time machine. READ MORE! Why not send your guests home with a song in their heart? Add a touch of true glitz and glamour to your party with our Pop Star Impersonators. Not only do you get an appearance from a stylish, sassy pop star, but you'll enjoy an afternoon or evening full of themed activities and entertainment. So sit back, and get ready to start shouting out requests for your favorite tunes! READ MORE! Want to add a perfect touch of seasonal excitement to your next party or get-together. We've got a whole host of seasonal characters at the ready, whether you're in the mood for a bit of Christmas-themed fun or a Halloween kinda time...or anything in between! We'll liven your day with themed games, activities, and more, while you and your guests revel in the holiday magic! READ MORE!